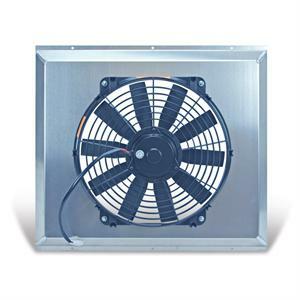 Aluminum Fan Shroud with Flex-A-Lite 2500 CFM 16" electric fan. Shroud measures 24"W X 19 1/2"T X 4.5"D. Will fit many applications. Draws 18.5 AMPS. 100% Made in the USA. 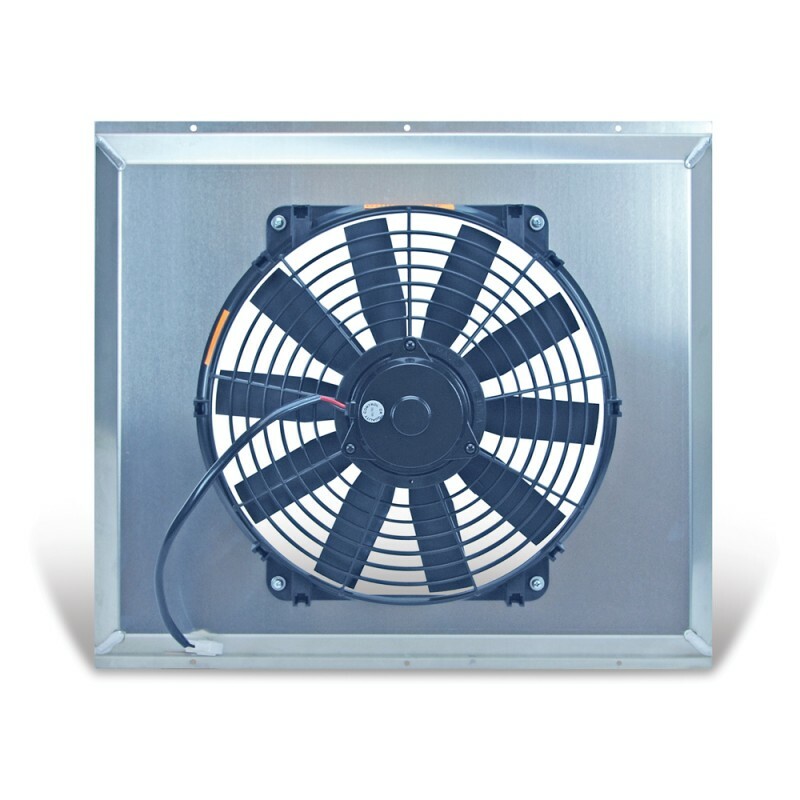 Flex-a-lite aluminum fan shrouds allow you to mount a Flex-a-lite electric fan to almost ant radiator and pull air through the entire surface of the radiator with the fan. This kit comes with the electric fan and mounting hardware. Shrouds allow the radiator to pull air through the entire radiator instead of just the round area that only a fan would cover.